Recently I have gone through the process of applying for Tourist Visa for Russia. I did my research on the internet and also through phone calls. In order to make all the information available at one place, I am putting it in the form of this blog post. Let me start with a fact. 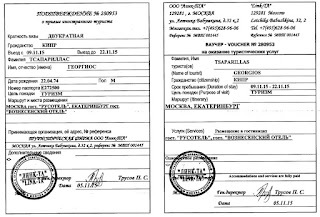 The documentation required for a Russian Tourist Visa is minimal (In comparison with documentation requirement for Schengen Visa). Do you find it unbelievable? Me too could not believe it. I carried many additional documents with me. They were just not needed. Air / Train / Bus Tickets. The travel tickets for inbound and outbound travel are not necessary for the Visa application. 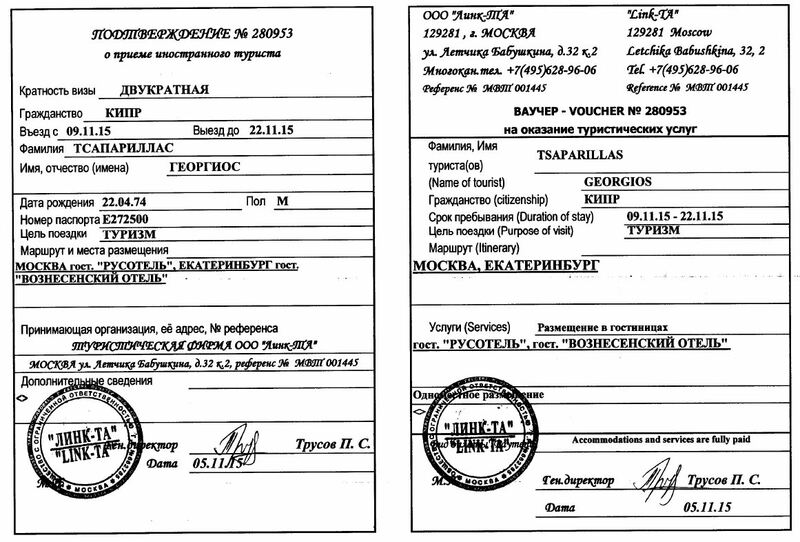 The Tourist Visa invite company may need inbound and outbound travel tickets to determine the period of stay in Russia. It may be prudent to book your tickets to and from Russia. Tourist Invitation from the hotel that you have booked or from any Russian tourist agencies (available online), It's per person cost depends on the agency you use and the country you belong to. While I do not recommend any particular one if your hotel cannot do it, try one of these - goingrus.com or waytorussia.net (these addresses are indicative) or any other such agency. Some agencies issuing the Travel Invite ask you to select one accommodation each from a pull-down menu at each of your destinations. Other agencies would ask you to give details of the accommodations that you have booked. It is not necessary to stay in the accommodation(s) mentioned in the visa invite. The names of the places that you actually book to stay can replace the accommodation mentioned in the Visa Invite (by asking the concerned company to do so). By what had been mentioned above it must be evident to the readers that booking of accommodation is not necessary if you are getting the visa invite from a company which does not need information of accommodation booked by you (and allows you to choose accommodation from pull-down menu on their website). If you choose a company which wants you to give proof of accommodation booked, free cancellation accommodation can be booked at booking.com. It can be concluded that the booking of accommodation is not mandatory but if you have a prior booking of accommodation at all destinations (even if it is free cancellation variety), it gives a peace of mind. Photograph. One copy of a colour photograph of size 3.5 x 4.5 cm. This photo should be with a white background. 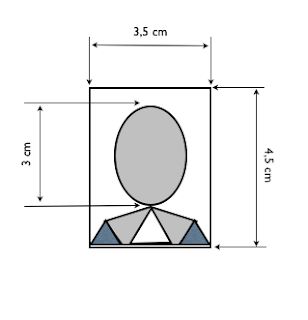 The face should be showing clearly and should occupy 80% of the photograph area. Your ears should be clearly visible. There should be no glasses and headgear of any type (unless mandated by religious requirement). The information available at many places on the internet states two copies of photographs with a light background, etc. 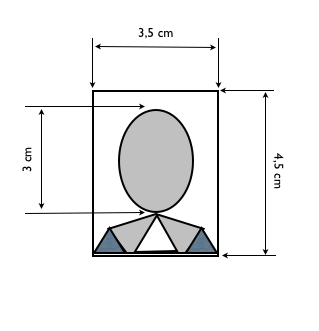 but I had to attach one copy of a photograph of the above description on the form that I submitted. Filling up the Visa Form. Once all these things are ready, visit the Russian Foreign Ministry site at https://visa.kdmid.ru and fill up the form online. Be very accurate in the information being filled. The information about your arrival, departure and cities of stay should match exactly with the data given in travel invite. Where will the form be submitted (city and either Russian consulate or VFS Russia centre) also need to be mentioned. Once the form is filled up, take a printout in one copy (information available on the net says two copies but VFS Mumbai took only one copy). This printout is to be signed by an individual and this signature must match with signature on the Passport. The Submission. The submission of the form is at the VFS Russia centre at the third floor or Urmi Axis building (behind Famous Study) in Mahalaxmi, Mumbai does not require a prior appointment (as on now), it is a walk in submission. For submission, carry your duly filled up form (as mentioned in sub-para (d)) with the photograph pasted on it. Travel invite and Entry and exit travel tickets (not mandatory but recommended). Submit the form when your turn is called out (a token is issued to you). Pay the fee and obtain the receipt of the form. Collection of The Passport after Grant (or in a very unlikely situation, rejection) of Visa. All that is left is to wait for the intimation of passport having received back from the Consulate. Once the information is received, collect the passport(s). On extra payment of Rs 500 per application, VFS can ensure that Passports are couriered to your address. Happy Journey. Enjoy the grand cities of Russia. One very important thing. In case you have to submit an application for someone else, you can do it without any authority letter (while I was told by VFS call centre that an authority letter is required on a Rs 100 Stamp Paper with due notarizing, which on enquiry at VFS Russia Centre, turned out to be inaccurate). The Authority letter on a plain paper is needed when someone else’s passport is being collected back. I am back again on the topic of the Kra Canal but with a different perspective. When I placed the link on the closed group of Brother and sisters at Arms, a question was asked to me by Ajit about the financial impact of Kra canal on Malaca Strait. That got me thinking. The outcome of that is this blog post. Financial implications are on both sides, for Thailand (and for China) and for nations of Strait of Malacca. As brought out in the article, this canal is going to be narrow compared to Malacca. Its throughput rate or rate of the number of ships passing through it is likely to be much smaller than strait of Malacca. Another factor is, Malaca at present has free shipping (means a ship can transit whenever she wants, though there is a traffic separation scheme (TSS) to keep inbound and outbound ships away from each other, something similar to road dividers albeit invisible) while Kra is likely to have regulated on way traffic (as has been stated in the article, unlike Suez canal that has a lake in the middle (Great Bitter Lake) to hold one convey halfway in the journey and allow the convoy coming from another side to pass). Suffice to say, it will have some impact on Malacca Strait traffic and hence on the economy of the Malacca strait nations. It is difficult to predict the extent of it at this moment. Clarity can only emerge if and when the canal is operational. It may so happen that Chinese may keep their hegemony on Kra and use it for their shipping (against International laws governing Maritime shipping as they show scant regards to these laws anyway). In such a situation, things would be different. Yet another factor is, Malacca is expected to be saturated by 2024 and Malacca Strait Nations may not mind creation of alternate route to Malacca for two reasons, firstly Malacca by then would not be in a position to let any more ships pass through it (subject to this prediction be accurate and world shipping maintaining its growth) hence nations of Malacca strait may look at Kra Canal kindly. Secondly, it is evident that given its expected width and depth of this canal as also expected to save of nautical miles viz a viz Malacca Strait, it can become a younger cousin to Malacca and can not surpass it. - Where is the Kra Isthmus? - Kra Canal, an Old Idea. - Comparing the Kra Canal with Malacca Strait. - Cost-Benefit Analysis of Kra Canal. - The Reasons for the Revival of “old idea in the new bottle”. - Questions around the Kra Canal Project. - Will China have Strategic Advantage over India if the Kra Canal is constructed? Where is the Kar Isthmus? Kar Isthmus is a land mass jutting into the Bay of Bengal. Most part of it belongs to Thailand. The shortest distance across the Kra Isthmus (the width at narrowest point) is about 44 km. 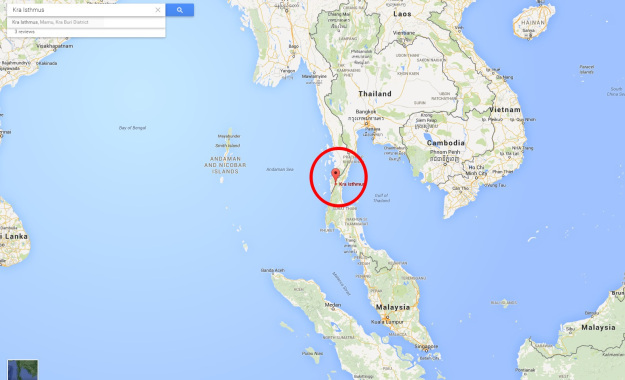 The Andaman Sea is to its west and the Gulf of Thailand is to its east. If we compare the physical location of Kra Isthmus with respect to Indian and Chinese major Naval Bases, it is about 700 km east of Port Blair and over 2400 km south west of the nearest Chinese port of Guangzhou through nautical route and also over the land route (as measured on Google maps). 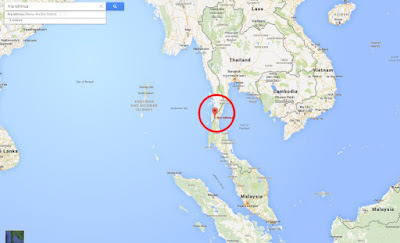 Kra Isthmus is a good location for a Canal to connect the Andaman Sea and the Gulf of Thailand. Kra Canal, an old Idea. The idea of a canal across Kra Isthmus has been an old one. This idea was considered for the first time in the year 1677 AD when a French engineer De Lamar carried out a study on the orders of King of Thailand. Another study was carried out by the engineer who made the Suez canal in the year 1882. Nothing much came out at the end of these studies primarily due to the limitation of cost and resources. Comparing the Kra Canal with Malacca Strait. To give a comparison, the Malacca Strait, a waterway that would be substituted by this canal is the world’s busiest waterway and at the narrowest point, its width is 2.5 kilometre. It is obvious that the canal width of 500 m in the bottom may be grossly insufficient unless it follows “One Way convoy” system followed in Suez canal but then there is no place available similar to Great Bitter Lake for holding a convey going in a direction at anchorage till the through convey going in the other direction is allowed to transit. Cost-Benefit Analysis of Kra Canal. The expected investment of 25 billion US dollars would result in saving of only 1200 Nautical Miles. To understand the distance saving benefits, while this canal would save 1200 Nautical Miles, Suez Canal saves a distance of 6400 Nautical miles and Panama Canal saves 7800 Nautical Miles. The distance saving that would accrue if Kra Canal is built looks meagre in comparison to the other two major canal systems. As stated earlier, this idea is as old as the idea of the Suez Canal, if not older. The length of the canal is also shorter than Suez (about 193 km). It is expected to be anywhere between 50 to 100 km (actual length would be known if and when the final design is made). The moot question then that comes to the mind is, why has this not been made in over 3 centuries. When Suez canal could be constructed in the year 1869 and the Panama Canal in the year 1914, why was Kra overlooked for 3 centuries? The reason is simple, if the economic advantages had outweighed the costs, this canal would have been made at least a century ago. 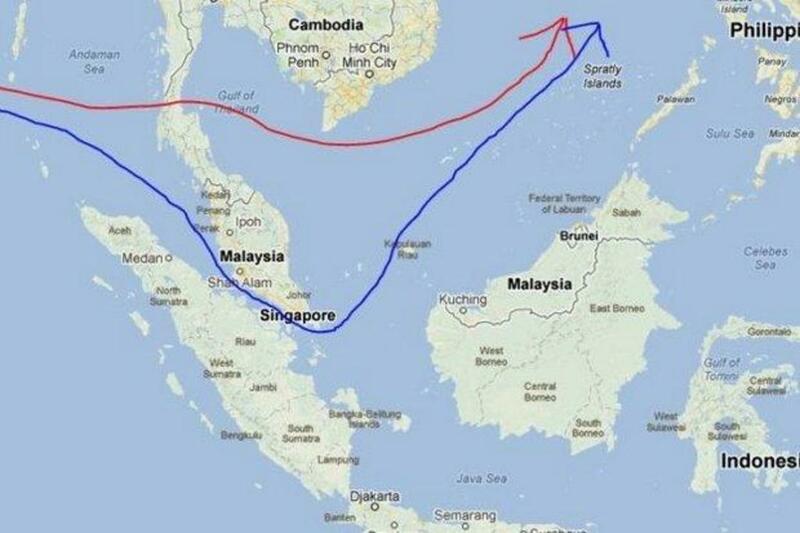 Since there was already a natural waterway available to navigate from the Andaman Sea to the South China Sea through Strait of Mallaca, the costs of Kra Canal viz a viz the reduction of just 1200 NM distance for navigation made Kra an idea whose time had not come. It must be remembered that Suez and Panama Canals were made to create new routes of much shorter distance while in case of Kra canal idea, Mallaca strait existed, much wider compared to expected width of Kra canal. The Reasons for the Revival of “old idea in the new bottle”. The canal project was revived again by the Chinese under their Belt and Roads initiative (BRI) also known as One Belt One Road (OBOR) and the proposal by Thailand in 2007 but nothing much happened for the next few years till major Chinese construction companies took renewed interest in this project in the year 2014 according to Chinese newspaper reports of that time. This renewed Chinese interest in the Kra Canal may convert this idea to reality in years to come. This is conditional to the Chinese economy keeping pace with Chinese ambitions. China wants to open up this new waterway with an intention of having a shorter route from the South China Sea to the Andaman Sea. This route entails a saving of just 1200 NM distance, with the Chinese energy and raw material need, the amount of shipping that heads to China, this saving gets accumulated as a big saving. Questions around the Kra Canal Project. - Impact of this canal on the ecosystem of the area. There seem to be no study carried out on the impact of this canal on the ecology of the area and on the life of coastal people and inland people, who were landlocked for many centuries and who now will suddenly find the waterway with major shipping passing through in their midst. - There is also a question of sudden physical barrier getting created by Kra Canal between mainland Thailand and the resistive south Kra Peninsula. This area is dominated by Malay Muslims and once the canal is made, Thailand may find maintaining control over the resistive southern area of Kar Isthmus. Will China have Strategic Advantage over India if the Kra Canal is constructed? Some thinkers have added a strategic dimension to the Kra Canal. In their view, this canal will provide a strategic advantage to China, of reaching the Indian Ocean faster as this will help the Chinese Navy deploy its ships and submarines faster in the Indian Ocean region. Prima Facie they may seem correct. The Indian Ocean has been free of the Chinese Navy for a very long time. That has changed in the last few years. With Kra Canal operationalized in the next ten years or so will result in the increased presence of the Chinese in the Indian Ocean. (a) China has many more disputes with its neighbours in the South China Sea and most of the Chinese Navy is likely to be deployed in SCS rather than the Indian Ocean. (b) India has the capability to track all conventional Submarines in the Indan Ocean Region even if they transit through the Kra Canal and not Mallaca strait. (c) Under UNCLOS Indian Navy also enjoys “Right to Innocent Passage” through this canal and hence it would also be able to deploy faster into the South China Sea. 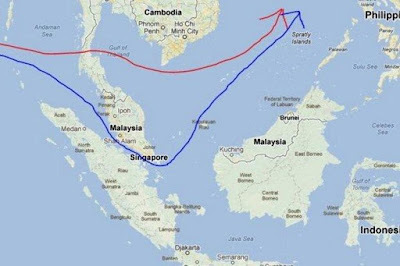 (d) Kra Canal being purely in the sovereign territory of Thailand, if Thailand stays neutral, it will not allow military use of the canal to any party in case of conflict between India and China. 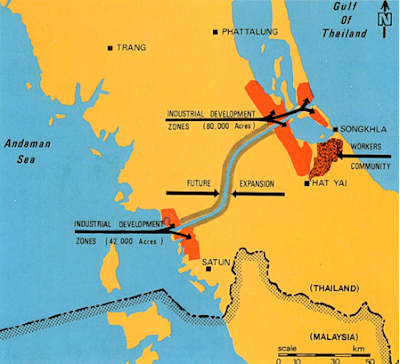 (e) If Thailand cannot exercise control over the Kra canal, it is easy for Indian forces to interdict any shipping including Chinese shipping heading in or out of the Kra Canal, if and when needed. (f) Andaman Sea end of Kra canal opens into the backyard of India. With ANC straddling the Andaman Sea, Blocking a narrow waterway of the kind of Kra canal, either at the entry point in the Andaman Sea or the canal itself will ensure long term unavailability of the canal for any use, let alone the military use. It can thus be concluded that Kra Canal would either be strategically neutral to both India and China or if it is strategically advantageous, it would be to India as its location is closure to India and Andamans guard that area. The Mallaca Strait carried 94000 ships in the year 2008. This strait is likely to be saturated for shipping by the year 2024 when the shipping density will cross 122640 ships transiting Mallaca Strait per year. Kra canal is likely to provide an alternate route to Malacca Strait to the world shipping in general and to Chinese shipping in particular. However, reading too much into the Strategic Advantage of Kra for China does not stand scrutiny. Even with Kar being operational India will continue to have upper hand in the Indian Ocean and it has the capability to control and choke the Indian Ocean as required. Chinese Nuclear Submarines alone will be added difficulty for the Indian Navy. In any case, the Naval Operations were and are always complicated, with or without nuclear submarines to counter. Presence of Kra canal may have some tactical realignment requirement, however, we may safely conclude that there would be no significant impact of the Kra Canal as and when it gets constructed. We (me and my better half) have been avid travellers and would remain so for years to come. This uniqueness of ours also has made us mindful of the fact that planning a trip within India and abroad is a time-consuming task. This task also involves painstaking research across the spectrum. It is particularly true if one is planning and executing a tour by him/herself and doing everything on his / her own. Well, if one takes the 10 nights 11 city type of tours through a travel company (I have nothing against such tours but they don't meet my idea of travel), he/she does not need this or subsequent blog posts of mine about the itinerary. For others, getting a tested and travelled itinerary is a boon and it reduces the research time considerably. This blog post aims to serve that objective. The first itinerary that I am placing below is tested by us in the month of April 18. It works well and it's not rushed itinerary. One can easily do this programme even with children who can walk. Our everyday walk on this trip was 8 km and highest walk in a single day was 13 km but none at a stretch, it was walking, see a place, walk again type of trip. By the way, when one visits Europe, even when the trip is with a travel company, walking does not reduce much. I have colour coded the itinerary given below. The first and second segment is of 8 days each and the third one is for Seven days. You can choose any segment if your schedule permits only 7 or 8 days trip. If your schedule permits about 16 days, you can club any two segments but clubbing either segments 1 & 2 or segments 2 and 3 would be better for travel across the cities. I am sure, some of you would be able to use this itinerary in some form for planning your travel. Copy Right - Harshad Datar. Unless quoted otherwise, all the work is original.. Picture Window theme. Theme images by compassandcamera. Powered by Blogger.